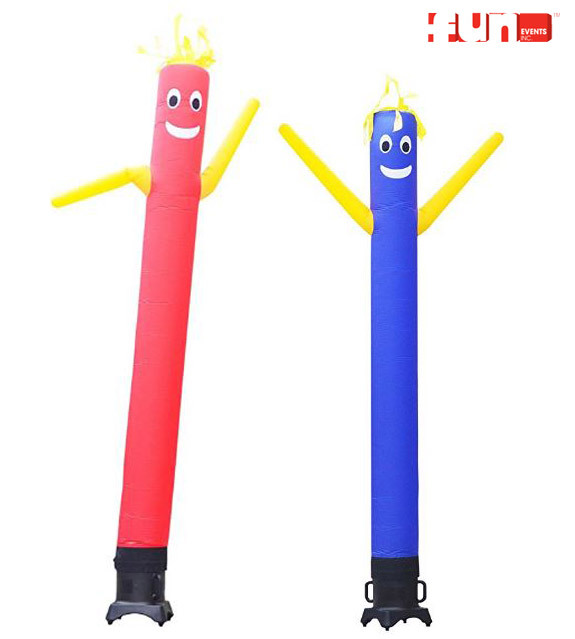 Wacky wild inflatable air flailing tube man will get your business, promotion, or event noticed immediately. Air Dancers are outdoor promotional products that work to attract attention to your location. We rent sky tube air dancer guys, with the flailing waving wacky arms! They are fun, because we are "FUN".